I’m not shy about my love for Umbra products. As the world’s number one go to design and home decor manufacturer, their products frequently marry function with fashion, style with substance, and practicality with panache. I have yet to meet an Umbra product I did not like, and I’m happy to see that they offer an online boutique just for us Canadians. Of course, Umbra products are scattered across just about every home, design, and gift store across the country. From the big name behemoths like Rona, Home Outfitters, and Urban Barn to smaller localized chains and gift shops, Umbra is pretty easy to find. However, if you’re seeking out a specific item to finish off a friend’s home, I’m going to point you to their website instead. 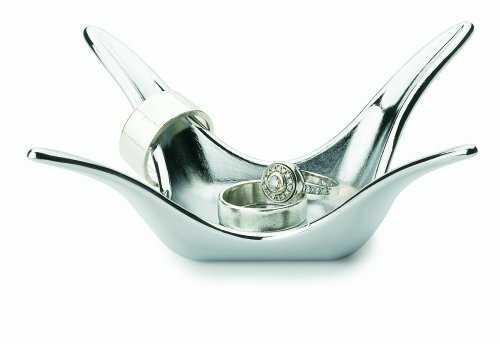 If you really are unfamiliar with the umbrella of products Umbra offers, they’re probably best known for their wall and table decor, and clever little organizational knick knacks like a stylish cup to store your rings and jewelery oddstuffs (shown above, $8.50 Canadian, hello stocking stuffer!). 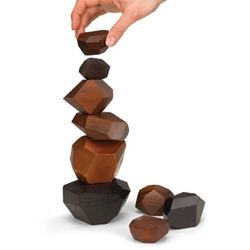 Beyond that however, their product line extends to furniture, games (like the artsy one-person version of Jenga pictured above, for $44), drapery, wallpaper, garbage cans, and more. Honestly you could pluck just about any item from the Umbra website and I nearly promise you a successful gift giving (then again, don’t I always?) experience. Their stuff is modern, clean, and contemporary without having a polarizing effect on anyone over the age of 35. Obviously the logical thing to do is pay attention to gaps in your giftee’s home life and see if there’s a matching Umbra product to fill that void. While some of their gear is a little less glam – garbage bins and curtain rods need not apply – the majority of it is quite affordable without scaring up questions of taste. My advice? Stick to the mirrors, jewelery storage, wall art, kitchen accessories, office stuff, clocks, and other decorative items and you’ll do fine. 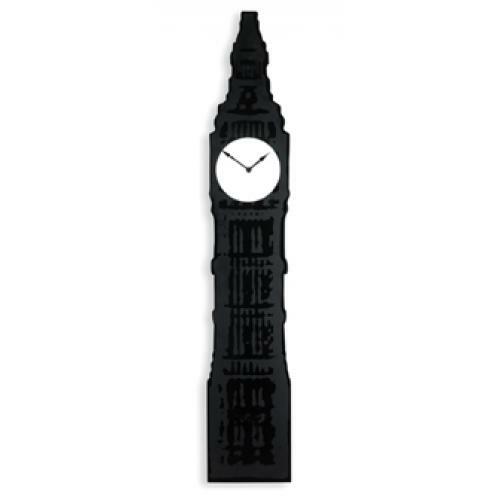 I can see my former English resident sister *loving* this Big Ben clock above ($84). One final thing I love about Umbra? They employ an IKEA-style team of designers, and bring each designer’s personality an aesthetic (however fleetingly) to the descriptions of their pieces. The U+ collection, which is generally a little pricier, features amazing innovative pieces like the ‘balloona stool’ above ($350). 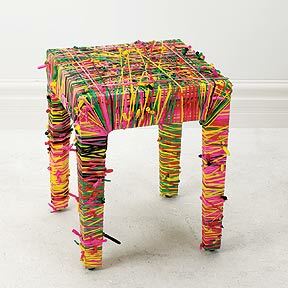 While not to everyone’s taste, you can’t help but marvel at the design created by University of Alberta grad Natalie Kruch, who has over 500 balloons tied onto every stool. Having a story to go with a signature, standout design piece makes Umbra that much sweeter a place to shop!